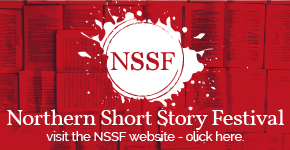 Our next napkin story winner is Jenny Beech, and her flash fiction piece ‘Something Out of Science Fiction’. The News has been strange these past days. Flickering images of peculiar shadows, the sounds of screams and interviews from baffled experts. Something has been hitting the cities; terrorist attacks some say, aliens say others, load-of-crap say the more rational-minded. Nick has his own theory (he’s watched a few science fiction movies in his time and his ‘own theory’ is a must have for the hero that he fancies himself to be, along with the rock-hard abs and combat boots). He sips his espresso in the corner of a coffee shop, waiting for the proverbial storm to arrive. Seated at the opposite table and the opposite spectrum of life, is Mark; level-headed, slightly overweight and reading a book about squids. He sips a latte, oblivious to the obscene amount of calories he’s absorbing and the fact that what can only be described as a monster, is making its way up the escalators, just outside the coffee shop. Ever the performer, Nick chucks back his espresso like it’s hard liquor and tries to pull a pistol that he has concealed in the back of his belt but succeeds only in an almighty wedgie. He manages to unhook the pistol from his boxer shorts in time to see the Monster careening towards him, before it ate his head. Mark is cowering under the table like a sensible person. Somewhere in all the excitement he’s managed to get hold of the salt shaker and as the Monster lifts up the table, Mark acts on instinct and throws both the book about squids, and the salt, at its head. The book bounces off uselessly but on contact with the salt, the Monster’s skin seems to burn. ‘It’s like something out of science fiction…’ Mark mutters, and promptly faints. 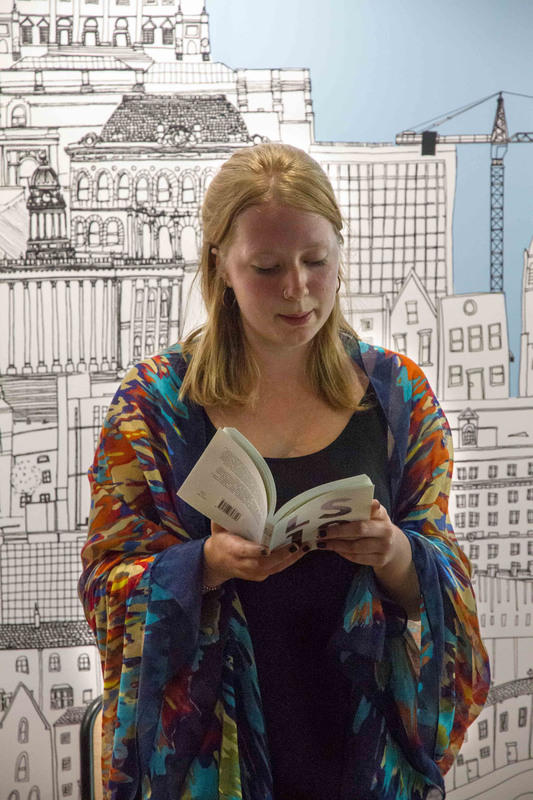 Jenny Beech reading at the LS13 launch in June 2013. Jenny Beech is one of the LS13 anthology’s top 20 writers in Leeds under the age of 40, and the author of a variety of short stories, flash fiction and poetry. To read more of Jenny’s work, visit her blog.